I was born in Henderson, Nevada in 1960, the youngest of Jan and Prince Smith’s six children. Our family’s Nevada roots reach back to 1881. I am married to the writer Sally Denton and the proud father of Amelia Smith, who is the subject of my book Amelia's Long Journey. A longtime columnist for the Las Vegas Review-Journal, I left the newspaper in 2016 and today work as a freelance writer. My stories have appeared in a variety of publications. To name a few: Time, Readers Digest, The Daily Beast, Reuters, The Nevada Independent, Ruralite, and Desert Companion. I also offer weekly commentary on Nevada Public Radio station KNPR. My newest book was published January 7, 2019—a biography of iconic Nevada civil rights and political leader, Joe Neal. Westside Slugger: Joe Neal’s Lifelong Fight for Social Justice is published by University of Nevada Press and it’s available at Amazon.com. In addition, I have published 15 books and am a credited contributor in many others. My recent books are Vegas Voices: Conversations with Great Las Vegas Characters and a short story collection, Even a Street Dog. Both are available through my NevadaSmith Press imprint and on Amazon.com. In 2016 I published a short history book for the Las Vegas Springs Preserve, Open For Business. 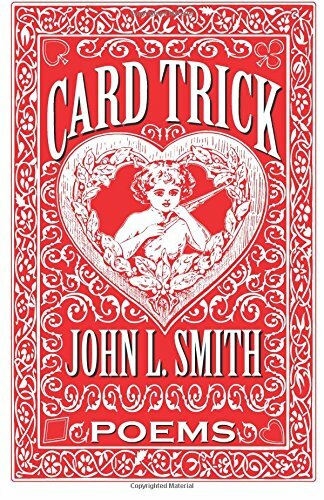 My first chapbook of poetry, Card Trick, was published in 2018. I'm also updating several previously published books, so check back for more news on that front. I can be reached at jlnevadasmith@gmail.com. On Twitter @jlnevadasmith. 2010 -- Silver Pen Award, Nevada Writers Hall of Fame.